You will love our list of the top wedding love songs 2013 if you are one of those brides who love to stay up to date with trends and you area looking to add some newer releases to your lineup of tunes for your wedding. Perhaps you want to use one of the songs for your first dance, your cake cutting, wedding slideshow or even somewhere in the ceremony. These are all songs that have been released in either 2012 or 2013 and that have been used in weddings all over the world in 2013. They all have lyrics that are appropriate for a wedding and some are slow and romantic while others are a little more upbeat. The first song on our list of the top wedding love songs 2013 is a country song from pretty blond boy Hunter Hayes. The words are beautiful and will make any girl feel truly wanted. A beautiful song from an under rated band. A great choice for lovers of rock and alternative music that would make a great first dance. This is a great cover of a Cure song, so it is not strictly a new song, but a new release of a song. Ed's sultry and soothing voice is perfect for this romantic song. It has a slow, almost hypnotic pace and would make a perfect first dance song. This cute little upbeat song really does deserve a place on our list of top wedding love songs 2013. Even though it was released in 2012, it certainly has been used in many weddings even in 2013. It would make a really lovely song for a ceremony exit. 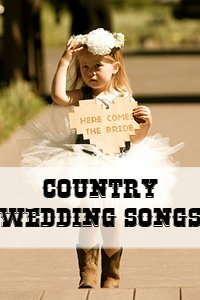 Another country song on our list of top wedding love songs 2013. This time from Dustin Lynch. This song is all about a tough cowboy who worships the ground his angel walks apon. This is just such a cute little song and definitely needs a place on any list of the best wedding songs of 2013. It is nice and upbeat and would make a lovely exit song for a ceremony or an entrance to the reception. This has got to be one of my favorites. The words are deep, meaningful and very appropriate for a wedding song. Also beautifully sung. 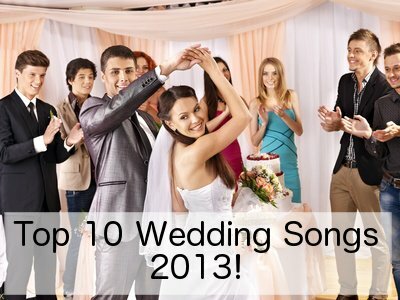 This is probably the newest song (so far) on our list of the top wedding songs for 2013. Unlike most of Mr Blunt's other songs, this one is far from melancholic. It has a real sense of hope. Great for a first dance or even a last dance. Have I missed any Top Wedding Love Songs of 2013? Please let me know in the comments below if there are any songs you think should be on the list. I purposefully did not include Ho Hey by the Lumineers. Although I think it is a awesome song, I don't think it is appropriate as a wedding song. The lyrics are quite sad. Take a closer listen to it again if you were considering it. If you like the song, then include it in your dance lineup instead.